Cheer your Mother with this lovely Greeting Card. This card says someone cares for you. Shows someone that you care. 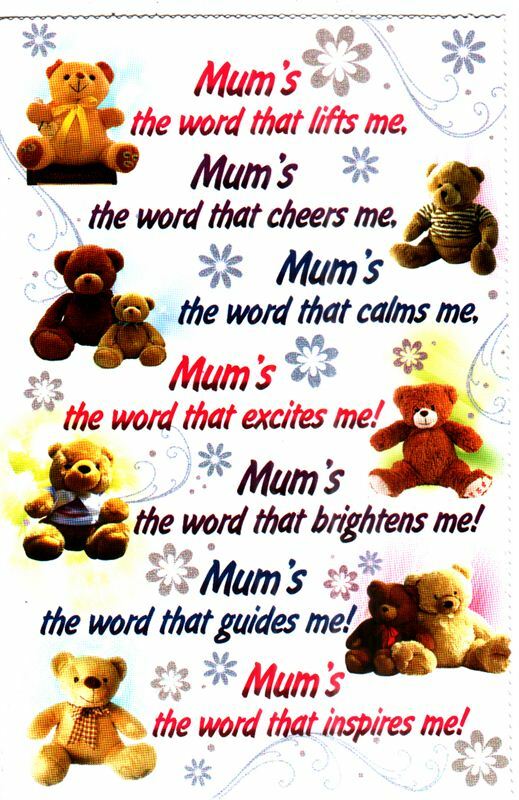 Front Message: - Mum's the word that lifts me, Mum's the word that cheers me, Mum's the word that calms me, Mum's the word that excites me! Mum's the word that brighten me! Mum's the word that guides me! Mum's the word that inspires me! Inside Message: - I love You Mom. Mum's the world that I know best...... Coz Mum's the world that completes me !!! I Love You Mom More Than I Could Say !